Cuddington Community Primary School is situated in Surrey. We really enjoyed making the hoodies for Cuddington, as they knew exactly what they wanted and loved what they were given! Cuddington Community Primary School’s Head of School message on its website starts by saying that Cuddington ‘is a small school with a big welcome’ and the website has the strapline ‘Succeeding together, achieving forever.’ We think that this messaging and caring ethos is reflected well in its leavers hoodies, which have been made specifically to the school’s personalised specifications. 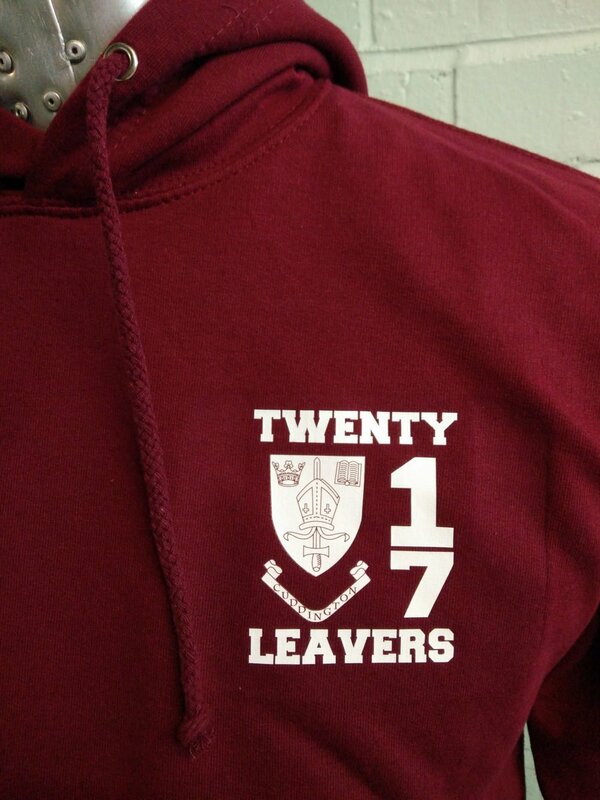 The leavers hoodies for Cuddington Community Primary School are made in burgundy, to match its school uniform. What is slightly different to the usual embroidered logos that we create, is how the logo for Cuddington has been laid out on the front of the hoodie. 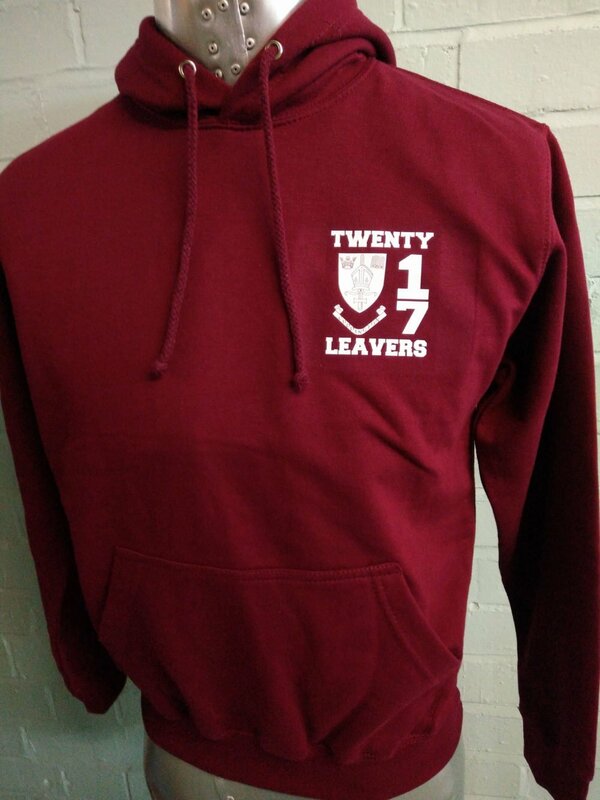 The word ‘Twenty’ alongside the number ‘17’ encompasses the logo on two sides, with the word ‘Leavers’ printed at the bottom – all in bright white print, to contrast brilliantly with the burgundy colour that the hoodie is made from. To personalise the hoodies for Cuddington Community Primary School further, the names of classmates have been dotted throughout the number ‘17’ on the back of the hoodie. 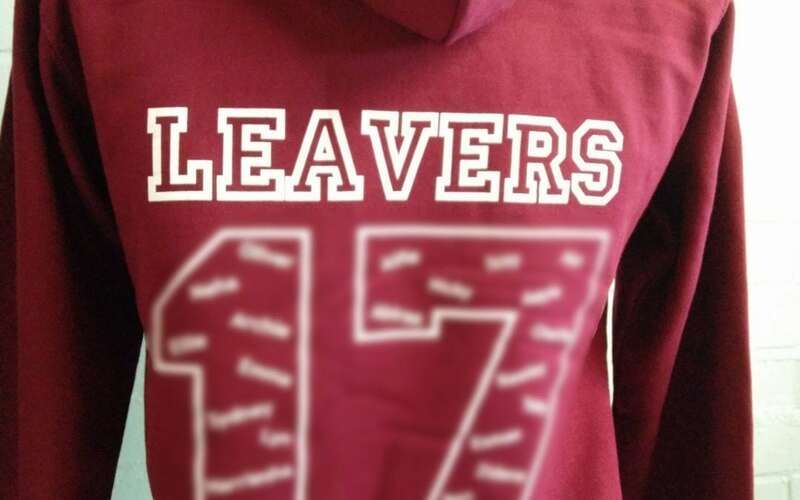 To enquire about personalising a leavers hoodie for your school, college or academy, please contact us via email at [email protected] or call 01858 461 686.